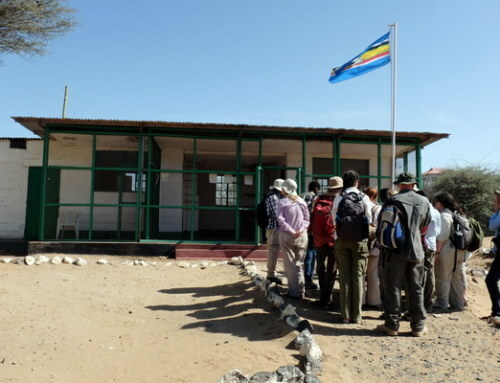 We are now in Ileret, which is on the east side of Lake Turkana. We will be here for 7 weeks of the field school! 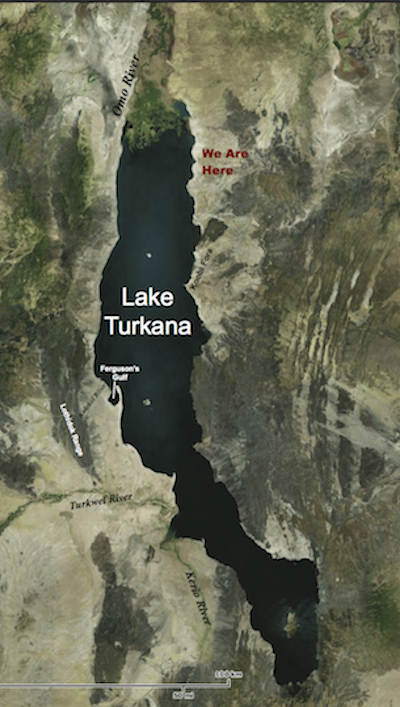 Map of Lake Turkana. Ileret is on the northeastern side of the lake. 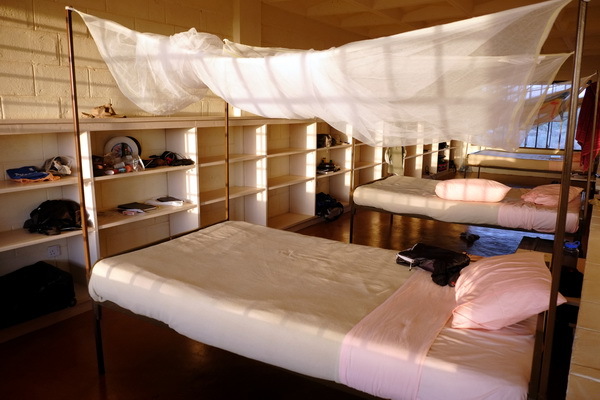 Student dorms at TBI Ileret. Photo credit Deming Yang. TA Laura pretending to be a student by sitting at their mess hall table! Photo credit Deming Yang. After a day of settling in to their new home, the students were ready to continue their ecology module. 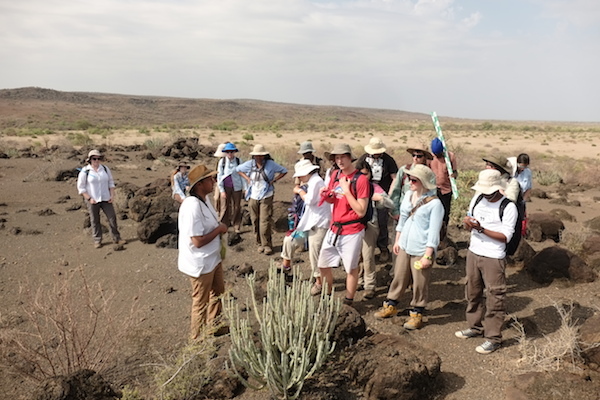 Professor Dino Martins took the students on a late afternoon walk just outside the compound to view the different vegetation that grows in this area. 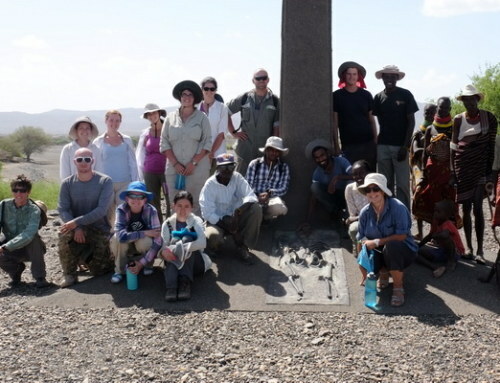 Ileret is much dryer than Laikipia, and we expect different vegetation to grow here. The students try the “Toothbrush Tree”. It gets its name because the branches make good toothbrushes! Photo credit Deming Yang. 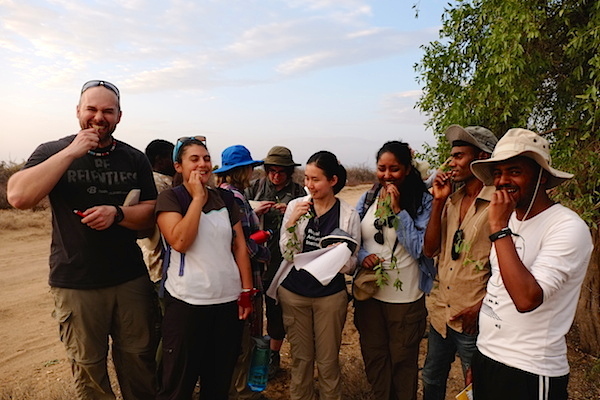 The students first task at Ileret was to measure Indigofera spinosa plants inside and just outside the compound. By comparing both the height of the plants and the number of seed pods, we can see just how much grazing effects the plants outside of the compound that are open to all animals in this area. Ester counting the number of seed pods on an Indigofera plant. 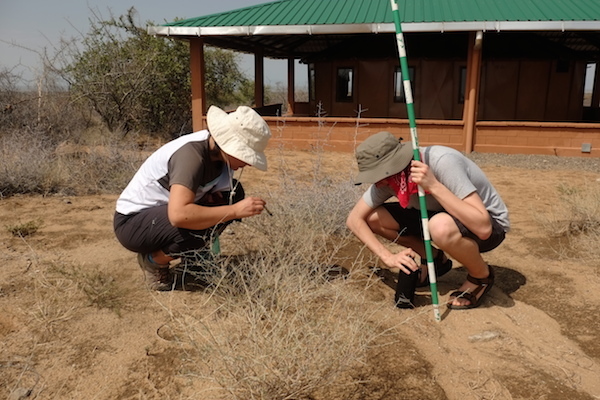 Charlie and Leah measuring Indigofera plants inside the compound. Photo credit Deming Yang. Kim and Nicole measuring Indigofera plants outside of the compound. Photo credit Deming Yang. 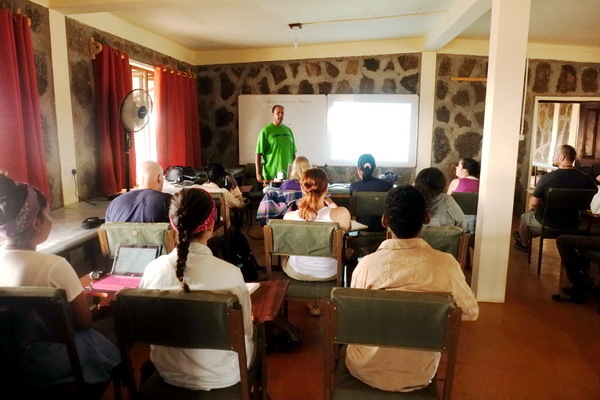 When not out in the field, students enjoyed the various ecological and evolutionary topics with Professor Martins in the classroom. Professor Martins giving a lecture in the TBI classroom. Photo credit Deming Yang. 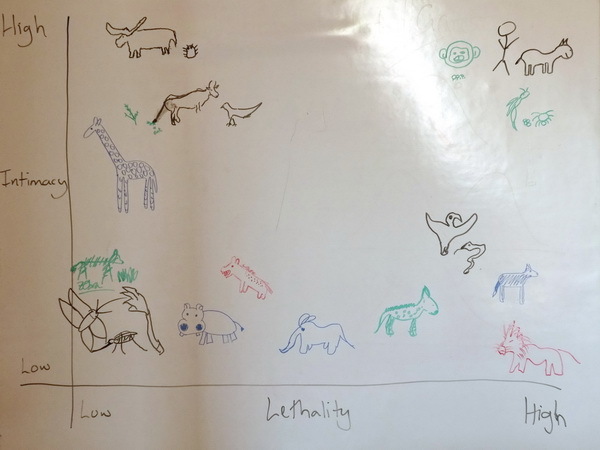 Students show off their drawing skills while learning about species interactions! Photo credit Deming Yang. 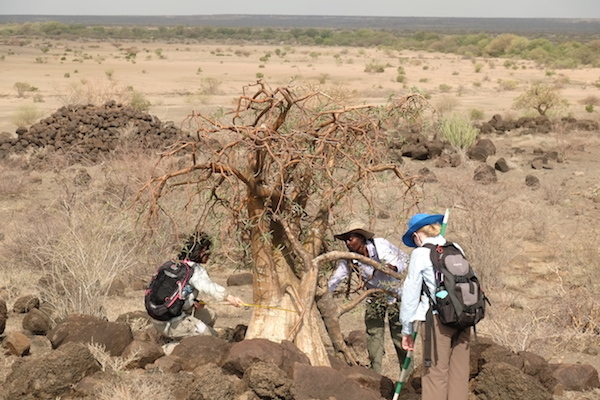 Our first adventure away from the compound occurred on Wednesday with a trip to Sibiloi National Park to view the beautiful desert rose plant along with other vegetation. 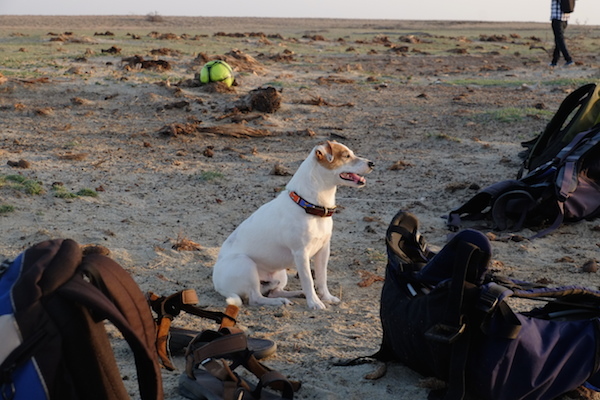 Students pause on their hike in Sibiloi to listen to Professor Dino Martins. Photo credit Deming Yang. 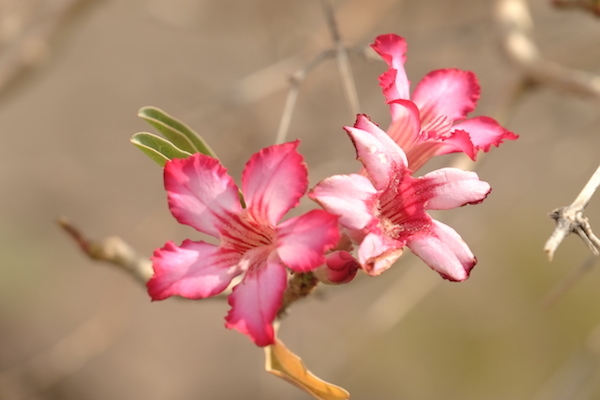 Flowers on the desert rose. Photo credit Deming Yang. 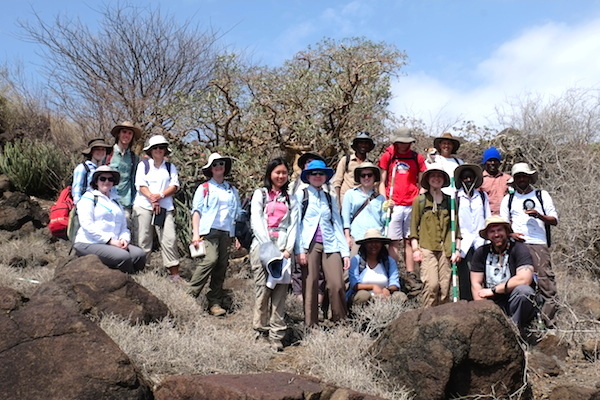 The students were assigned to measure the desert rose, the tortoise of desert plants. It only grows at 1 millimeter per year! 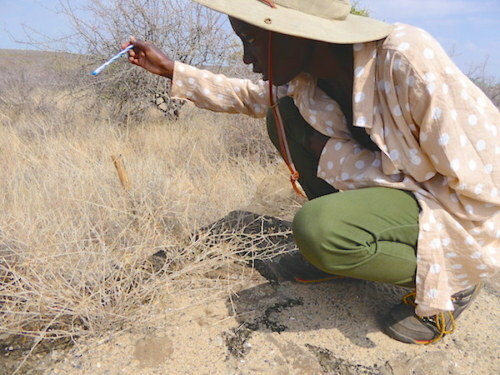 By measuring the height and width of these plants, their age can be estimated. 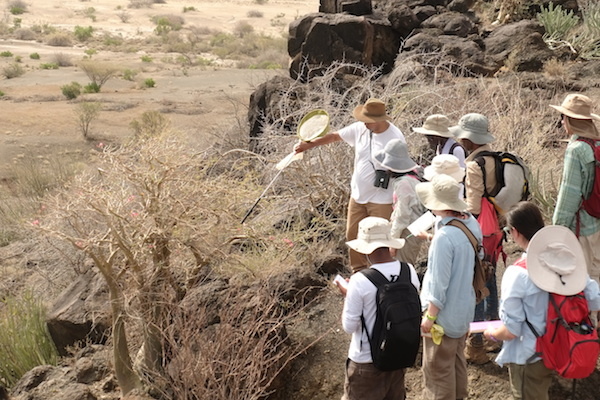 Professor Martins pointing out the Desert Rose to the students. Photo credit Deming Yang. 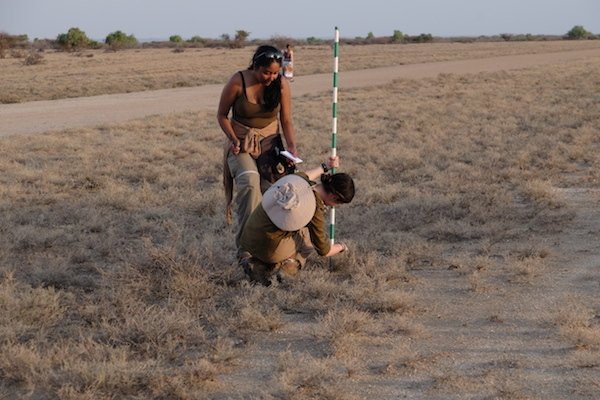 Ester Amanda and Yishan measuring the width of a Desert Rose plant. This tree is likely over 1000 years old! Photo credit Deming Yang. Smiling faces after our morning hike. Photo credit Deming Yang. For the dry season, Ileret has been receiving an unusual amount of rain since we arrived. Normally it hardly rains here in January and February but we had a large storm system pass over us our first few days here. 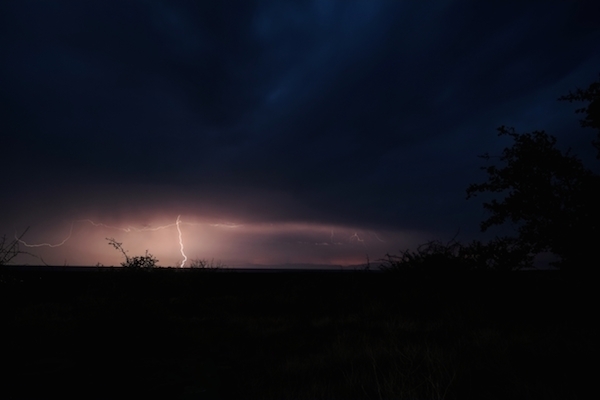 Storm over Lake Turkana seen from the TBI compound in Ileret. Photo credit Deming Yang. Lucky for us, the storms have cooled down the temperature, which is normally around 38 degrees Celsius (or 100 degrees Fahrenheit) this time of year! However, this did make part of our hike in Sibiloi a bit muddy, but the students seemed to find it more entertaining than troublesome. Andrew being a good sport about the mud. Photo credit Deming Yang. 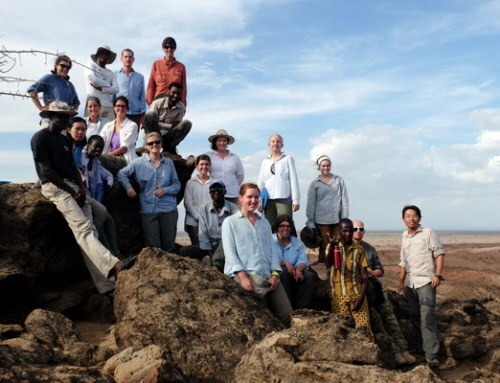 To wind down from class, the students visited Lake Turkana for the first time. Our own Lake Turkana is the world’s largest desert lake! 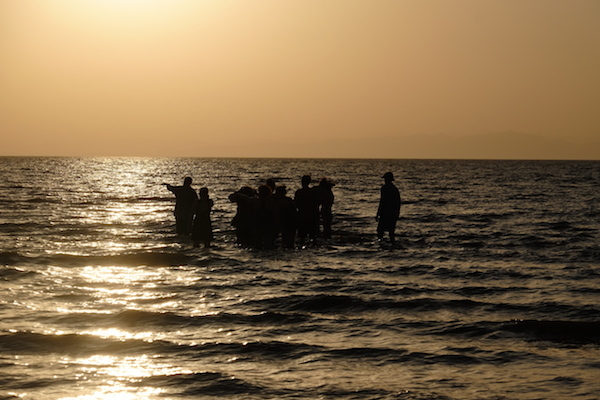 Students having a splash in the cool water of Lake Turkana. Photo credit Deming Yang. Barabara guards the students’ bags on the lake shore! Photo credit Deming Yang. 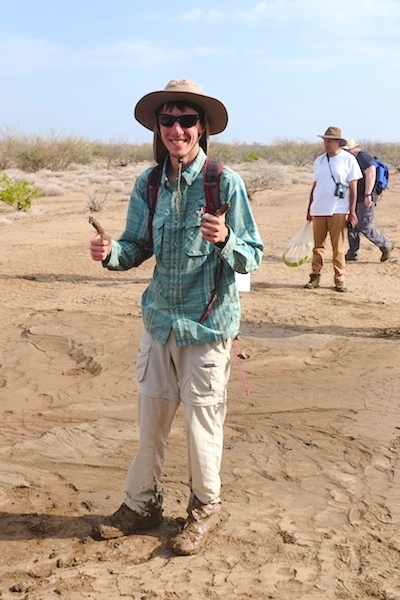 As the ecology modules nears the end, students are busy preparing for their final examination and presentation. 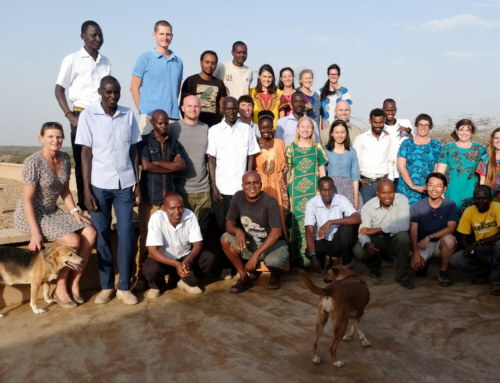 They have put a lot of hard work into this module and we are proud of what they have accomplished so far. 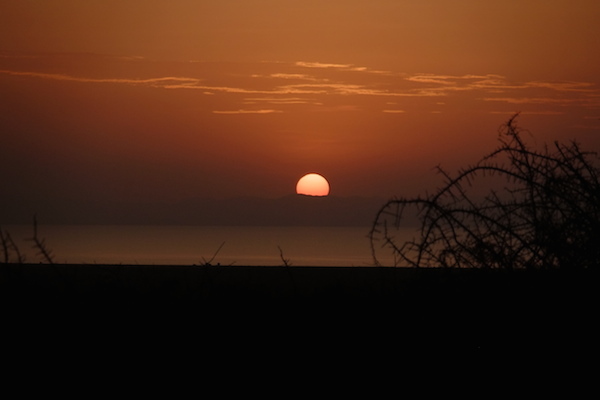 View of the sunset over Lake Turkana from TBI Ileret. Photo credit Deming Yang. By Laura Morrissey|2017-02-05T10:11:37-07:00February 5th, 2017|Spring 2017|Comments Off on Our New Home, Ileret.